Your birthday girl will feel like a princess when she wears this fluffy pink princess tutu birthday outfit! 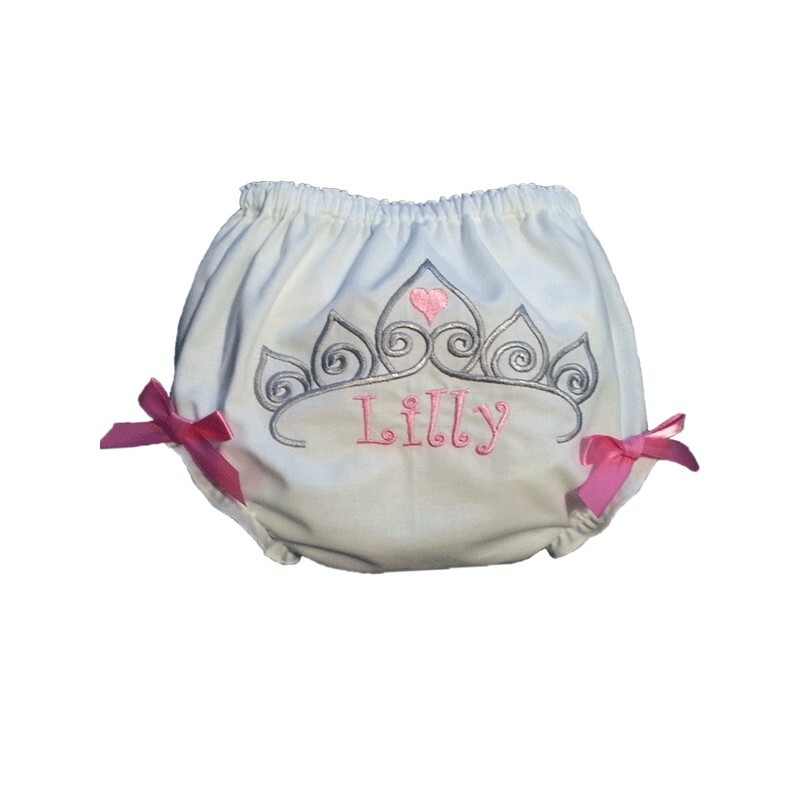 Add the matching diaper cover for only $15 more! 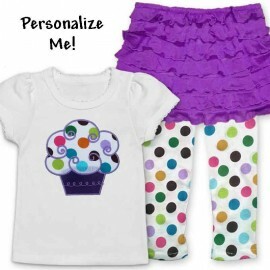 Personalize Me! Enter her name in the product customization area below. 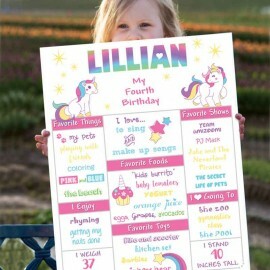 Or you may enter a short phrase such as "Birthday Girl". If you don't want a name or phrase, enter "no name". Tutu: Tutu's are so much fun, she'll feel like dancing! 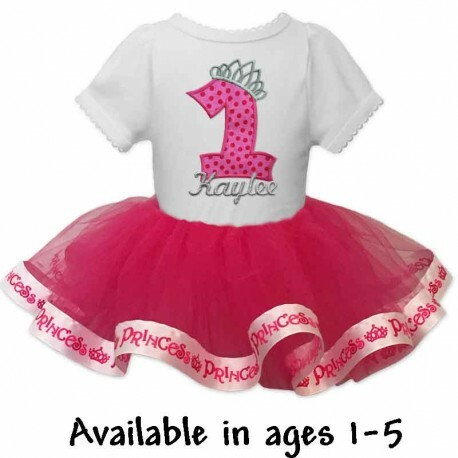 Features 3 layers of pink tulle with sparkly princess ribbon trim. All sizes are approximately 9 inches long. Shirt: Cap sleeves with delicate scallop trim. Cute number applique adorned with a princess tiara. 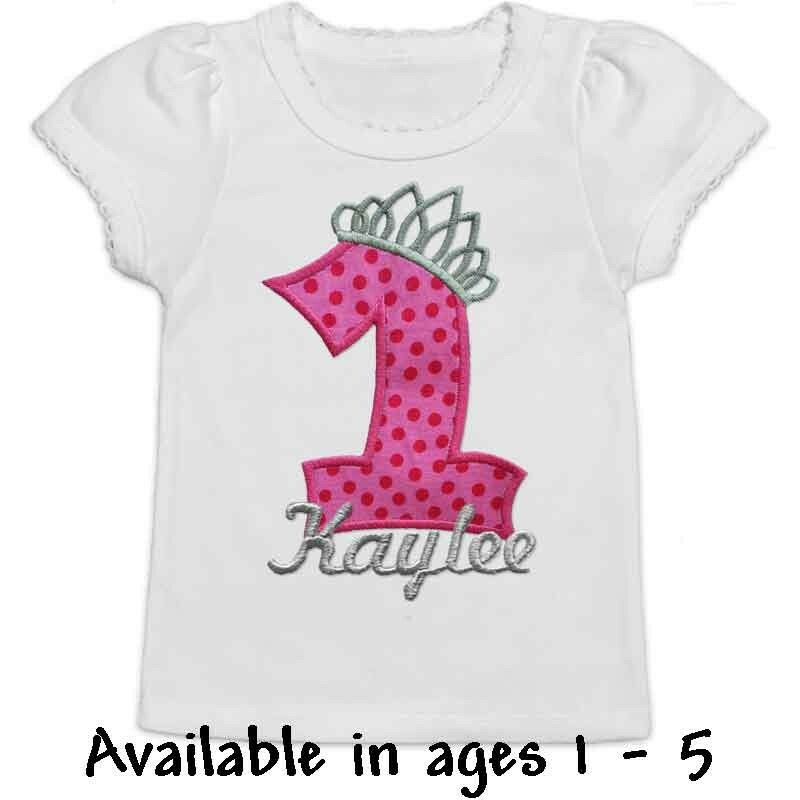 Personalized with her name or short phrase in pink embroidery makes this an extra special T-shirt.